This property has 0.74 acre of land that can be used for a variety of business or residential uses. There are four homes and a workshop storage building on the property the buyer may use or demolish to make room for future development. There are two Parcel numbers lots being sold under this listing. 000S009080013162, 605 S M Street and 000S009080011162, 1814 W Pine Street. Property is Zones C-3 with Property Use of Single Family Residence. 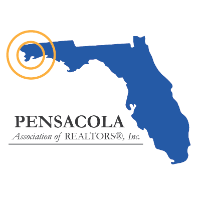 This property is so close to everything downtown Pensacola, 0.2 miles from Sanders Beach Community Center. A great location.